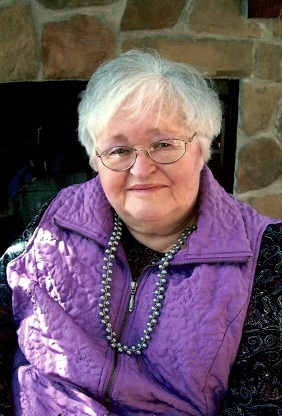 Rosary Recited at 5:00 P.M.
Parish Prayers at 7:00 P.M.
Agnes Martha Kautz, age 89, of Silver Lake passed away on Friday, February 1, 2019 at The Good Samaritan Society in Howard Lake. She was born on April 20, 1929 in Winsted the daughter of Hubert & Eleanor (Lamott) Haekenkamp. On February 3, 1948, Agnes M. Haekenkamp and Emil R. Kautz were joined in holy marriage. God blessed their marriage with four children Susie, Larry, Dale and Linda. During their earlier years, together they lived on farms in Hale Township, McLeod County until 1967 and then moved into Silver Lake. Agnes was a faithful member of Holy Family Catholic Church in Silver Lake. She also belonged to the Rosary Society and CCW. She served on the Pola-Czesky Committee for thirty years and along with her husband Emil established “Music in the Park” and Polka Mass in the Park. Agnes served as site manager for many years for Silver Lake Senior Dining and the Auditorium. She enjoyed baking kolaches, dancing, camping, fishing and sewing. Survived by her loving children: Susie (David) Horejsi of Silver Lake, Larry (Kathleen) Kautz of Cokato, Dale (Joanne) Kautz and Linda (Randy) Nelson all of Silver Lake; grandchildren: Karen (Jim) Klatt, Sharon (Scott) Grivna, Tiffany Kautz, Jason (Noel) Kautz, Chad (Jackie) Kautz, Davis Kautz (Michelle Dlugopolski) and Amber Kautz (Travis Erickson); great grandchildren: Justin (Whitney) Olsen, Taylor (Jason) Morris, Ryan Olsen, Jennessa & Kallyssa Klatt, Tanner, Parker and Gabrielle Kautz, Breahna, Jaden and Mason Kautz and Delaney Erickson; a great, great grandson: Steven Morris; siblings: MaryAnn Mallak and Marlys (Sonny) Carlson; many other relatives and friends. Preceded in death by her loving husband Emil R. Kautz on September 28, 2004, her parents, a great granddaughter Madison Kautz, siblings Edwin Haekenkamp, Eleanor Kegler and Hubert Haekenkamp. A Mass of Christian Burial for Agnes Kautz will be held on Tuesday, February 5th, 2019 at 11:00 A.M. at Holy Family Catholic Church in Silver Lake. Father Tony Stubeda will be the Celebrant. Interment will follow at St. Adalbert Cemetery. A visitation will be held on Monday, February 4th from 4-8 P.M. at The Maresh Funeral Home in Silver Lake. A Rosary will be recited at 5:00 P.M. Parish Prayers at 7:00 P.M.
Further visitation will be held on Tuesday morning, February 5th from 9:30-10:30 A.M. at the funeral home. Casket Bearers will be Jason Kautz, Davis Kautz, Amber Kautz, Kallyssa Klatt, Jennessa Klatt, Mark Mallak and Ryan Olsen.